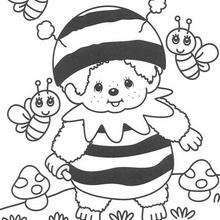 Monchhichi is a freckeled face monkey doll that is usually sucking it's thumb. 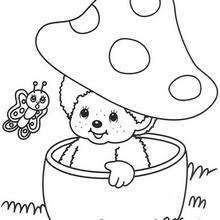 Monchhichi looks like it is ready for Halloween or just wants to fit in the mushroom. 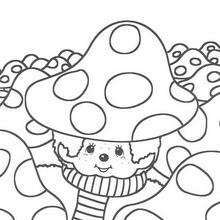 This cute Monchhichi Hides in Mushroom coloring page can be colored online with the interactive coloring machine or printed to color at home. 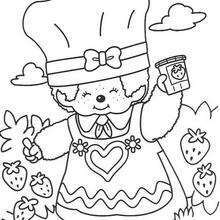 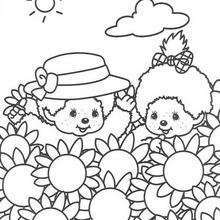 You can find other Monchhichi coloring pages for you to enjoy in this section from Hellokids.